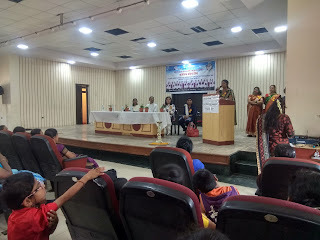 16-March-2019, Koregaon Park (Pune): The Don Bosco Development Society (DBDS), Pune celebrated International Women’s Day on 16-March at Maulana Abul Kalam Azad Hall in Koregaon Park, Pune. 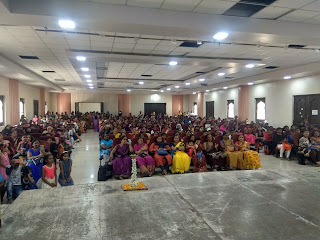 About 440 women participated in this programme held under the aegis of ‘Women Empowerment Project’ supported by Manos Unidas, Spain. 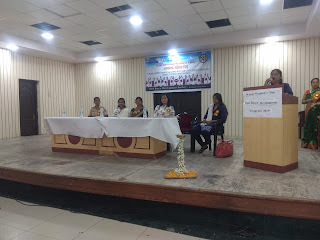 The programme was graced by guests – Fr Briston Britto (Vice Rector- DBYC), Mrs Ashvin Newaskar (Yoga Teacher), Mrs Sangeeta Bagul (Entrepreneur), Constable Tulasa Naik, Advocate Yasmeen and Mrs Karuna Godbole (Special Educator). 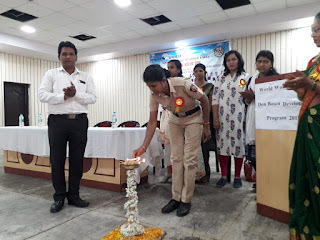 The guests inaugurated the programme by lighting the lamp. 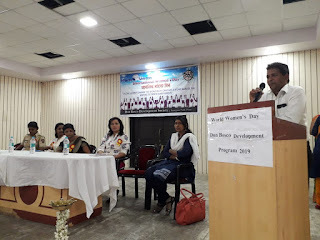 Mr Nagsen Chavan spoke about the achievements of ‘Women Empowerment Project’ in last one year. This was followed by key note address by the guests. 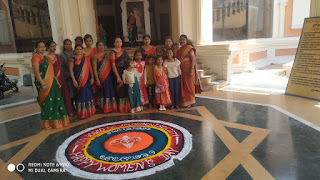 Fr Briston congratulated the audience on the women’s day and shared his good wishes to them. 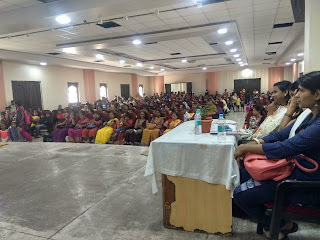 Mrs Ashvin Newaskar spoke on the role of yoga in maintaining good health and taught simple Pranayam exercises to them. Constable Tulasa Naik shared her life struggle in completing school studies and then joining Maharashtra Police. Mrs Sangeeta Bagul shared her experience in starting and managing small business. Advocate Yasmeen gave valuable information on the laws and legal remedy for the victims of domestic violence. 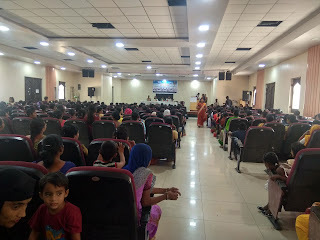 Mrs Karuna Godbole spoke on ‘hearing impaired’ children and how to take care of such children in a family. 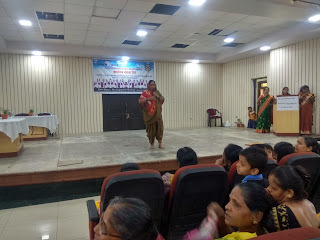 Mrs Dalimbe presented a solo skit – ‘Mi Savitribai Phule’ and gave message on the promotion of women’s education in society. Mrs Shweta Shinde left audience spellbound with her lavani dance. Ms. Jyostna Sonwane and Ms. Renu Agarwal presented solo dance, and Ms. Anita Patekar and group enthralled the audience with their catwalk. The programme ended with the vote of thanks by the staff and lunch was served to all.